As a mother of three active and athletic children, there is no shortage of aches and pains that come home. A basic cold stone or cryomassage followed by warm stones is one of the techniques I have used to help with any muscle discomfort. In addition, the oil I usually reach for is Arnica Oil. Arnica Montana is a flowering perennial and looks similar to a daisy. Its flowers are yellow-orange in color with stems that are round and hairy and leaves are bright green. Other common names are Wolf’s Bane, Leopard’s Bane, Mountain Tobacco and Mountain Arnica. It’s native to Europe but can also be found in North America especially in the mountainous regions. Arnica Oil is great for muscle aches, spasms, stiffness and pulled muscles. It helps to lessen inflammation and swelling from sprains, bruises and edema due to fractures. Its medicinal properties help to stimulate the flow of blood cells and moves congested fluids from joints, muscles, and bruised tissue. It is a natural remedy for DOMS or delayed onset muscle soreness and has positive effects on muscle soreness after marathon running. Arnica Oil is also good for rheumatic pain and arthritis flare-ups. Most health food stores have a variety of Arnica oils and salves but I like to make it myself. I prefer to solar infuse the dried herbs (purchased from Mountain Rose Herbs) with my favorite grape seed oil. Other oils may be used but grape seed has always been my favorite for massaging. It’s high in antioxidant and is easily absorbed by the skin to locks moisture in. After 6 weeks of steeping in the sun, it’s ready to use. There is also the crockpot method of steeping, which is much faster than the solar method. I favor the old fashion way believing that the sun and moon can energetically charge the oil. I keep the oil in a dark glass bottle stored in a cool dry place. When ready to use, I pour some in my wooden massage bowl just enough for the massage and add other essential oils. If your massage therapist does not have Arnica Oil, you can always purchase or make some for yourself to use on your next massage appointment. As a massage therapist, the herbs I use are for external use only. It is not recommended for internal or external use on pregnant women. As always, please consult a doctor and/or qualified herbalist before using this or any herb. I have been using Magnesium Oil in my massage sessions for a while now and the results have been great. Incorporated with my organic massage and essential oils it adds a unique texture to the skin and an exceptional quality to the massage. This texture allows me to knead the muscles effortlessly as it relaxes. Extracted from brine or seawater, Magnesium Chloride is a chemical compound that naturally occurs in the ocean and in some ancient seabeds around the world. This natural and important mineral also occurs in the body and found in certain foods. It is needed for assimilating Vitamin D, which I like to call the “happy vitamin”, and a deficiency in this can leave you feeling “blue”. Magnesium also helps to excrete stagnant toxins from the body’s tissues through the pores. As a result, massaging helps to move the body’s fluid and increase the removal of these toxins. Most people with muscle pain, cramps and fatigue show signs of magnesium deficiency. Magnesium depletion can come from lack of sleep, excess stress, alcohol, caffeine, sugar and agricultural pesticides. Magnesium oil is magnesium chloride suspended in water. Transdermal magnesium oil massage helps to transport magnesium to glands, lymph and bloodstreams. It helps to relieve muscle pain, reduce inflammation and decrease swelling. This ideal magnesium delivery relaxes and softens the muscle and connective tissue. As a result, it increases flexibility and promotes a restful sleep. The benefit of magnesium oil also enhances recovery time from athletic activity or injuries. From my experience, swimming in the ocean is a good source of magnesium and other trace minerals, especially with the added value of Vitamin D from the sun. Another beneficial self-care practice would be an Epsom Salt bath. Magnesium oil is also sold in most health food stores and can be sprayed and rubbed on for a self-massage. I have been using magnesium oil a lot on my clients so I find that making my own oil to be more cost effective. My oil recipe is equal parts magnesium chloride flakes and filtered hot water (boiled in a non-aluminum saucepan). Overall, for a lovely and delightful way to receive magnesium oil and experience its benefits is through a professional massage in a relaxing atmosphere. As a massage therapist, the herbs I use are for external use only. Also it is not recommended for internal or external use on pregnant women. As always, please consult a doctor and/or qualified herbalist before using this or any herb. ​*All photography was taken by and belongs to Grace Crozier except profile (about Grace Therapy) photo. Profile photo was taken for and belongs to Victoria-Elle Crozier Harders. 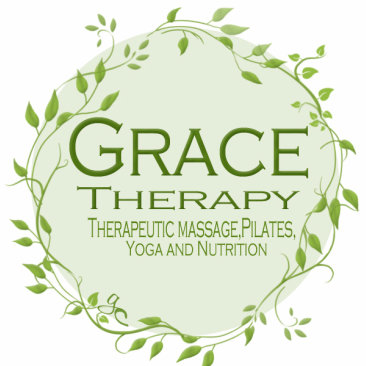 Grace Crozier specializes in therapeutic bodywork. Her mission is to guide and support clients through their physical therapy and health. She believes that healing comes from a caring and nurturing environment. Her knowledge in several massage modalities, yoga and pilates allows for a unique focus on body alignment..